Salvation And Survival: The Veil Is Pulled Back -- But For How Long? The Veil Is Pulled Back -- But For How Long? Based on news reports in the U.K.'s Daily Mail, and our own national media sources such as Breitbart, The Blaze, and The New York Post, the threats of terrorism on our home soil are greater than ever before. In fact, all these sources report that terrorist suspects have not only been arrested over the past 18 months, but officials are openly admitting that terrorists are crossing our borders, and are, as a matter of truth, already in this country. Why all the transparency and truth-telling, after so many months, and even years, of denying that the threat is real? Has God pulled the veil of deception back for just a moment -- for one last opportunity for us to get this right? It certainly feels like that as The Daily Mail reports that over the last 18 months, nearly 70 people have been arrested for ISIS-related terror plots, including a handful of so-called "refugees". The frightening aspect of these arrests is that they include such unlikely suspects as a young nurse, a pizza parlor boss and schoolgirls tricked into becoming shrouded ISIS brides. They also include a husband and wife team, both of St Louis, MO, who face trial over allegations they gathered cash to buy military equipment for ISIS fighters in Syria; six Bosnian immigrants -- three from Missouri, two from Illinois and one from New York -- who conspired to support ISIS with money and equipment. According to the US Attorney's office, three have become naturalized citizens of the United States, and the remaining three have either refugee or legal resident status. There are refugees from Kenya, Somalia and Syria. There are homegrown Muslim converts, and even an Air Force veteran who is accused of joining the ranks of ISIS to wage war on the country he once served. The bottom line is this... what we have all sensed for so long is now being revealed -- in spite of the continuous denials of those who are charged with keeping us safe. We are also now seeing representatives of the Middle Eastern communities in our nation revealing what they know. The New York Post ran an article in which Aarafat “Ralph” Succar of Bay Ridge, Brooklyn (and a member of the Bay Ridge Community Council) said that ISIS terrorists have “absolutely” sneaked into America by posing as civil-war refugees — and joined sleeper cells just waiting to be activated. “I believe the terrorists from Syria have been coming into the United States, not only in the past few years, but way before that,” he said. “I think they’re already at work.” Who, of us who are awake, haven't instinctively known that? Then there is Breitbart.com, who is reporting that Border Patrol agents are now coming forward to report that groups of illegal Middle Eastern immigrants are crossing our southern borders. Such is the case of the five Pakistani men and one man from Afghanistan, who were captured by U.S. Border Patrol agents after having illegally crossed the porous U.S.-Mexico border in the Tucson Sector of Arizona. 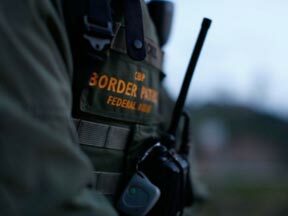 We also have the two federal agents operating under the umbrella of U.S. Customs and Border Protection (CBP), who are claiming that eight Syrian illegal aliens attempted to enter Texas from Mexico in the Laredo Sector. The question is why such crossings in the past were not prosecuted by the Department of Justice, and were dismissed "due to circumstances?" I truly want to grasp on to the hope of yesterday's vote in the House of Representatives, which overrode the President's veto, in regards to strengthening the vetting process of Syrian and Iraqi refugees admitted into the U.S. According to The Blaze, the measure, which in effect would suspend admissions of Syrian and Iraqi refugees, would require the FBI to conduct background checks on people coming to the U.S. from those countries. It would oblige the heads of the FBI and Homeland Security Department and the Director of National Intelligence to certify to Congress that each refugee “is not a threat to the security of the United States". But can we trust that show of defense on behalf of the American people? 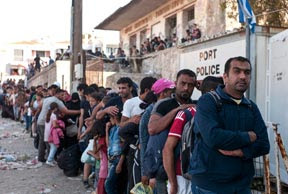 Does this action on the part of Congress, in reality, speak of hollow promises -- especially in the light of testimony from foreign officials and intelligence officers that say there is no way to compile adequate information on any of these "refugees" from their home country? Haven't we heard such words and rhetoric in the past that have given us a false sense of security? Remember, the legislation still must pass through the Senate, and these bills have a habit of changing radically by the time they get to the vote. And I think the aspect that bothers me the most is that those of us who are concerned about the possibility of a Paris-style attack (which has been promised by ISIS), are accused of somehow abandoning "age-old American values." Is it against our values to want to protect the lives of our families and innocent victims? Is it against our values to take a stand against man's inhumanity to man? Is it against our values to be bold in the face of Evil? I am not exactly sure why it seems as if, for once, many of our leaders are refusing to play the politically correct game, and actually seem sincere in their warnings and desire to speak the truth. How long will it last? Will God have mercy on us; and will we, as a nation, turn to Him in repentance and hope? I know that He can protect us, if it is His will -- even as the odds are stacking up against us. He is Sovereign and Mighty in His power. May He honor our obedience as we pray in the name of His Son! Psalm 147:11 "The Lord favors those who fear and worship Him [with awe-inspired reverence and obedience], Those who wait for His mercy and lovingkindness."